Whether you love birds or barely notice them, you’re not expected to love them nesting in the various exhaust vents of your home, rustling and chattering at the crack of dawn. But that’s exactly where cavity-nesting birds often look to make their nests. House sparrows and starlings are both widespread and numerous, after having been brought to North America where they were misguidedly and purposefully released. Unlike most wild birds, these “vent nesters” prefer to live as close to us as possible. Places like your bathroom vent, dryer exhaust vent, stove vent, and louvered attic vent offer the shelter type they seek for their nests. Whether their presence is merely a noisy nuisance for you or an actual safety concern, due to blocking a stove or dryer vent, you can easily and humanely remedy your problem with a bird a in vent. A nest in a stove or dryer vent may need to be removed promptly, due to the safety hazard it can create, regardless of whether there are eggs or young in it. But do make an effort to remove any young along with the nest gently and carefully, and place the nest in a nearby tree or other elevated spot, so the parents can attempt to finish raising their young. If the nest comes apart while you’re removing it, place the young in a nest substitute, such as a basket or berry container, along with some of the softer nest lining materials. 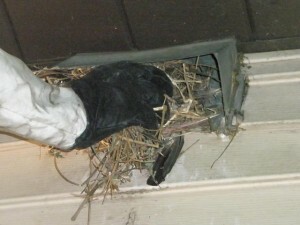 If the nest location does not create a safety hazard, leave it in place until the young fledge. This may take a few weeks, depending upon the stage at which you became aware of it. Once you do remove the nest, quickly make the vent inaccessible to future nester builders. If you have house sparrows or starlings nesting in one vent, assume that they will also be interested in other vents you have. Make a list of the types of vents on your home and their dimensions and head to your hardware or home improvement store. 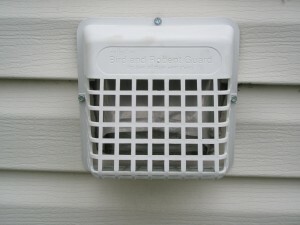 Commercially made vent covers are available for many vents. These are often the best choice for dryer vents, which accumulate lint and must be opened and cleaned periodically. 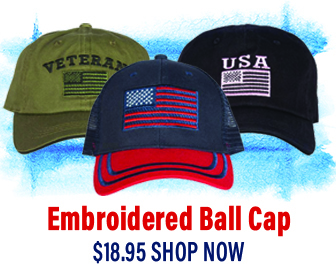 For other vents, particularly louvered attic vents, which are large and not standard in size, you can purchase hardware cloth with ½” mesh openings. If possible, slip it in behind the louvers and screw it in place. Otherwise, form a cover out of the hardware cloth and secure it in place over the vent, making sure that edges cannot be pried open. Whatever is attracting vent nesters—beyond the sheltered cavity for their nest—should also be addressed. Look around to see if you are unintentionally attracting house sparrows and starlings to your yard. Do you have bird feeders? No need to stop feeding the birds, but opt for black oil sunflower seed, rather than millet, milo, cracked corn, or any seed mix with these in it. Most of your songbirds will still be happy, but the house sparrows will be far less interested in the sunflower seed, making your home a less appealing place for them to nest. For starlings, unsecured trash offers a convenient foraging opportunity. Be sure to use metal trashcans with lids, and don’t put trash out to the curb in just a plastic bag, which starlings, other wildlife, or dogs on the loose can easily tear open. 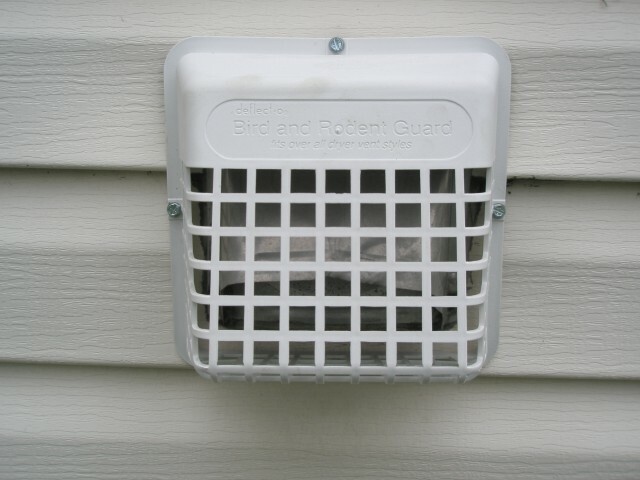 Once you’ve protected your home’s vents against unwanted nesters, check on them periodically to be sure they are operating correctly and are still securely covered. Weather and the prying efforts of wildlife may loosen the coverings over time, so you may need to do an occasional follow-up task to keep your vents nest-free. But, at least, you’ll save yourself from the annoyance of that early morning rustling and chattering in your vents, and other unnecessary hassles, when the next nesting season arrives.